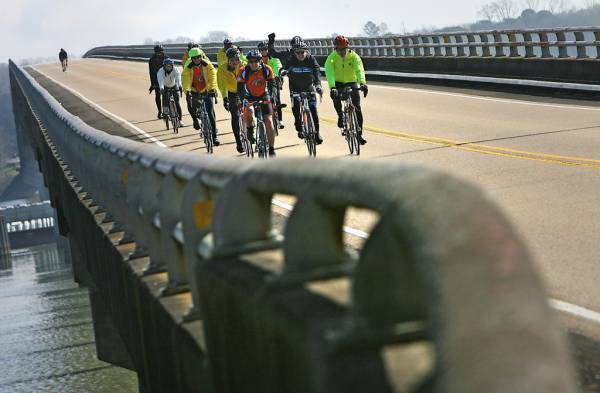 (Florence Times-Daily) The Fuller Center Bicycle Adventure began Tuesday in Tennessee, crossed through the northwest corner of Alabama and wound up in Tupelo, Miss., during a 96-mile segment of its spring ride along The Natchez Trace Parkway. The group made a brief rest stop in Alabama after crossing the Tennessee River to meet with Florence Times-Daily writer Russ Corey and visual journalist Jim Hannon. Click here for The Times-Daily’s extensive report, complete with story, photos and video.